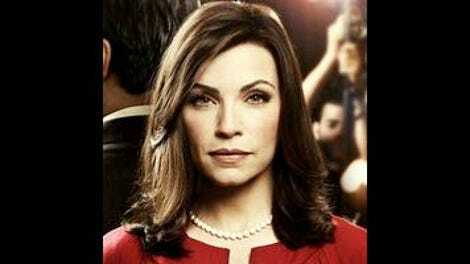 On the one hand, this was a frustrating Good Wife to watch. It’s all about the details of salary negotiations, features way too many scenes of Kalinda getting offers from Cary and an incredulous Will (who notes that he just had this conversation with her a few months ago), and a case of the week that isn’t sketched with enough depth to really care. There was never quite enough momentum to the narrative—it just felt like Alicia was constantly being beset with annoying things to deal with, including a big request from her husband and a visit from her mom and brother. On the other hand, it’s so rare for a network drama to deal with the nitty-gritty of unionizing a modern workforce and the many ways corporations try to get around the problem of everyone in the office agreeing they should be paid more money. 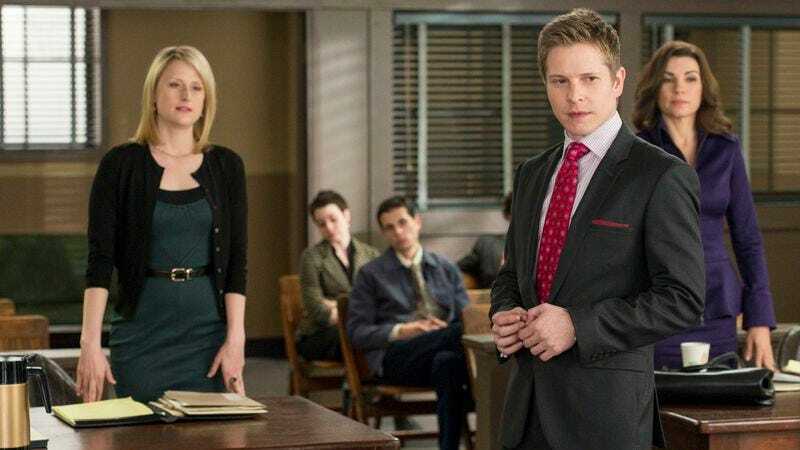 In classic Good Wife style, even when things went right, they went wrong—Alicia wins her case and the employees get to unionize, but the company is immediately bought out by the evil ChumHum, possibly as a direct result of internal Lockhart/Gardner conspiracy, and the whole thing is rendered moot. Still, I wish that plot had a little more punch to it. The ever-reliable Fran Kranz was a suitable lead plaintiff for our affections, but the whole time, I felt like Alicia did in that first scene—taken off-guard and unclear on all the details. Even the reliable Mamie Gummer as the easy-to-hate Nancy on the other side of the courtroom wasn’t enough to get me invested (although don’t get me wrong, I love seeing Nancy lose). The change of scenery to an Administrative Law Judge’s office was cute, and John Michael Higgins is always a welcome presence, but his silliness was never much more than that—silliness. He’s always saying he’ll compromise, see, but really he’s just siding with Nancy and making it sound like he isn’t! And he’s kind of dim-witted and takes long pauses to say simple things! I don’t mean to be snarky, because I liked Higgins’ performance, but just as a diverting piece of comedy. With Alicia dealing with a National Labor Relations Board case, her assistant starts getting wind of crazy notions like being paid overtime for more than 60-hour work weeks, being allowed to take time off without it affecting one’s performance review, things like that. I don’t know enough about corporate law culture to know how badly assistants are treated by their firms, but this certainly seemed pretty bad. It came completely out of nowhere—the assistants don’t usually get much screentime, but now David is screaming at his long-time employee and demeaning her in public? At the same time, it felt pretty plausible, and their gripes were certainly justified. It was a little annoying that their behavior was just chalked down to annoying copycat tactics that the partners barely took seriously. Only Alicia recognizes the danger, and her concerns are largely ignored. Will and Diane nip everything in the bud by promoting the ringleaders and hoping the whole thing blows over. It may well; there’s a reason less than 12 percent of America is unionized these days, six and a half percent in private companies. So on the one hand, I’m happy The Good Wife explored a lot of these issues; on the other hand, it’s too bad they’re mostly relegated to a one-off plot with no significant long-term impact. I’ve been wrong about what will play into the future of the show before, though, so maybe this isn’t the last we’ve heard from the assistants. A lot more time is given over to Kalinda’s salary negotiations, a very dull affair that involves pieces of paper being handed over and Will complaining that this is old news. Cary offers to bring her on board to his firm (first time he’s truly confirmed it, right?) exclusively, for big bucks, but it’s hard to take any of this seriously yet. A little more interesting is Veronica’s open jockeying for Will, quietly supported by Owen at first (although he changes his tune after meeting with Peter and buying the passion he shows for his wife). Alicia, who certainly has more than enough on her plate at this point, tries to shut it all down with a nuclear option—if Veronica continues to agitate her marriage, she’ll be barred from seeing the kids. Veronica immediately obeys the letter of the law (she doesn’t go to talk to Peter) but disobeys the spirit, telling Will he’s got one last chance to win Alicia over. Do I care? I suppose I do. I don’t know how many more angles on this love triangle could possibly be interesting. The situation has been the same for more than a year—Peter has genuinely fallen back in love with his wife, but certainly has to expect to answer for his sins the rest of his life. Will and Alicia get along famously, but their relationship is complicated on several levels, especially professionally, and Peter is about to be elected Governor (one would assume). I don’t know. I expect much consternation in next week’s finale. Alicia right now is on board with vow renewal and happiness with Peter. But a lot can change in a week. “My mom has one just like it,” Nancy says of Alicia’s new rug. Oh, you mean Meryl Streep?